Last month marked the beginning of my family’s seventh year of homeschooling – not necessarily a remarkable anniversary unless you’re a mom like me who feels the days slipping away faster and faster with each passing year. These have been precious years, full of exploration and learning as much for me as for my two boys. As my oldest son begins to think seriously about college, the nostalgia I feel for these past years is slowly transitioning from sweet to bittersweet as I help him plan his first steps into adulthood. I knew this time was coming, of course, and have been expanding my role of “homeschooling mom” to include the role of “college and career counselor” over the past two years. In 2015, in anticipation of this transition, I got busy trying to figure out how I could best support both of my college-bound sons and decided to conduct some research about college admissions for homeschoolers. I easily found a lot of helpful information online, but there were still pieces missing as I continued to search. 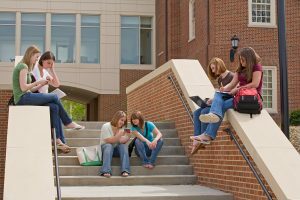 As a former university program director and member of an admissions committee, I knew there was more to the process than just grades and test scores. So, with the support of the Oregon Home Education Network (OHEN), I designed and launched a two-part national survey for homeschooling families and college admissions officers. If you’re a long-time reader of Homeschool.com, you may remember seeing an early article I wrote about the research here. Since the launch of these online surveys, I’ve heard from almost 150 homeschooling families nationwide and from almost 50 college and university admissions professionals. In addition, I’ve had the opportunity to interview select parents and admissions professionals to delve deeper into their questions, concerns, and recommendations about the college admissions process. The perspectives and insights I’ve gained throughout this research have been incredibly valuable in the planning I’m doing with my boys, and I know that there are many, many homeschooling families who would benefit from this information, too. So, I wanted to return and share some of the specific results of this research with other homeschooling families who are also planning for college. Given the large quantity of information I’ve gathered, I can only share some of the specific questions, concerns, and experiences resulting from the research with homeschooling families in this article. I will follow up in a separate article focusing on the perspectives and recommendations provided by the survey and interviews with admissions officers. A checklist for the application process. Overall, the survey revealed a strong level of interest and optimism amongst the broader homeschooling community as we consider the college admissions process. However, there is a fair amount of confusion and concern, too, often leading to feelings of doubt and uncertainty. Based on what I’ve learned during the course of this research, however, it’s clear that homeschoolers do have many reasons to be confident about their ability to gain admission to college. But it also seems clear that it’s time to expand beyond the idea of focusing on “homeschool-friendly” schools, as many parents indicate they have, and prioritize instead our students’ interests and goals as we help them select the “best fit” options. In the next article, I’ll share with you some of the insights and recommendations on how to do this as provided directly from admissions officers around the country. Lori Dunlap worked for nearly 20 years in the corporate world, first as a management consultant to Fortune 500 companies and then at a large research university as a career development program director and adjunct faculty member. In 2010, she decided to make a radical life change and left her job to begin homeschooling her two sons. You can connect with her and find out more about her book From Home Education to Higher Education through the Teach Your Own website.